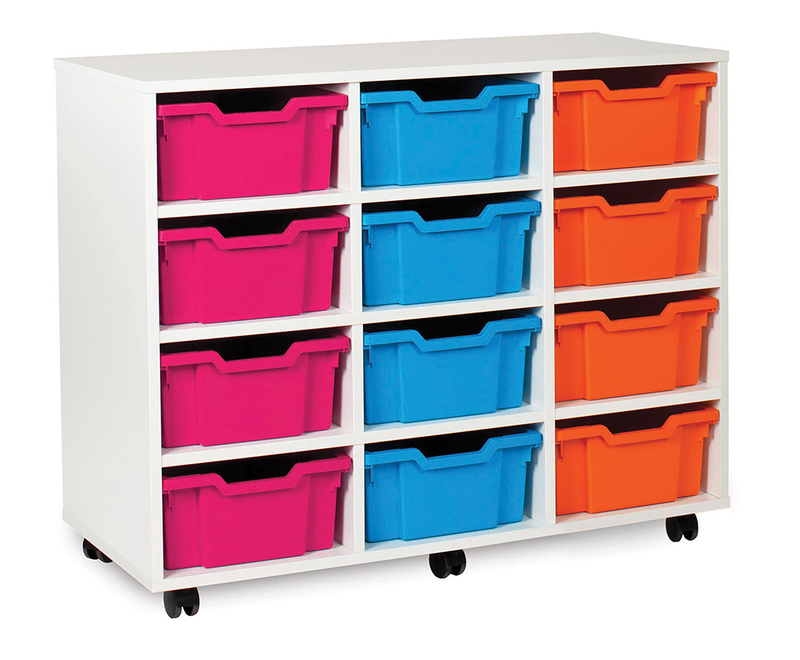 Part of our White Range of classroom storage, this unit is available with 12, 16 or 18 deep Gratnells trays. 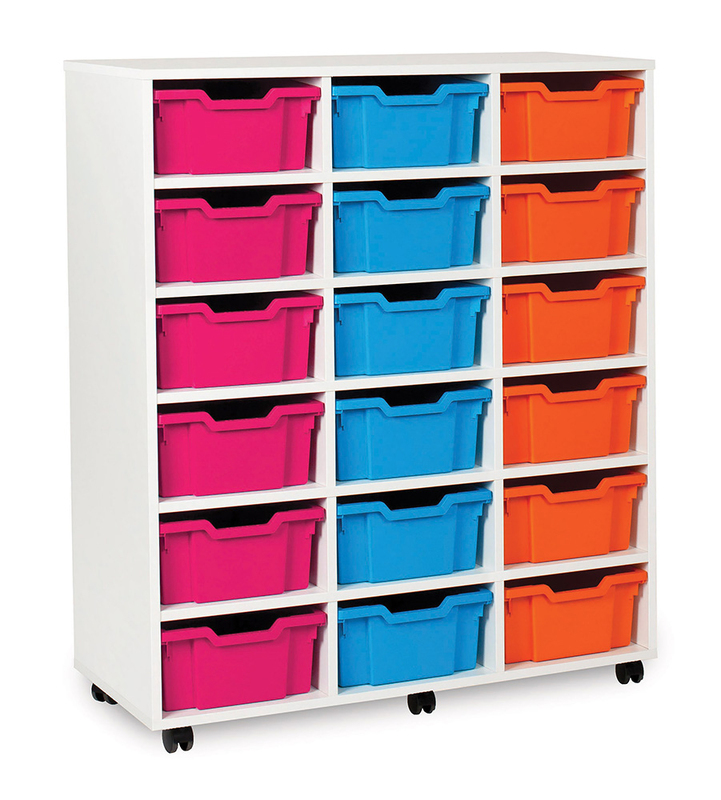 Constructed from 18mm durable MFC in a bright white finish and supplied with Gratnells trays in a choice of 16 eye catching colours. 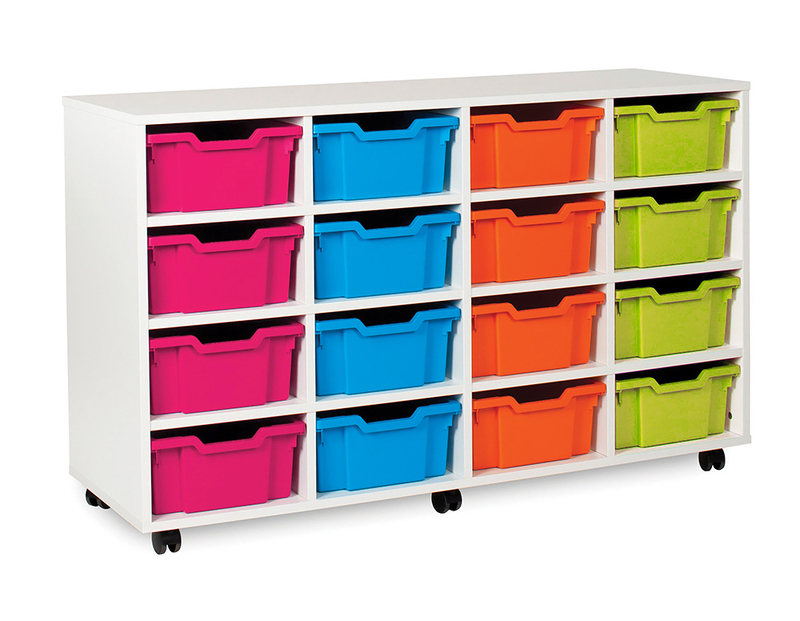 Create a modern fresh and colourful feel in your classroom. Complete with easy glide castor wheels for easy mobility if required. 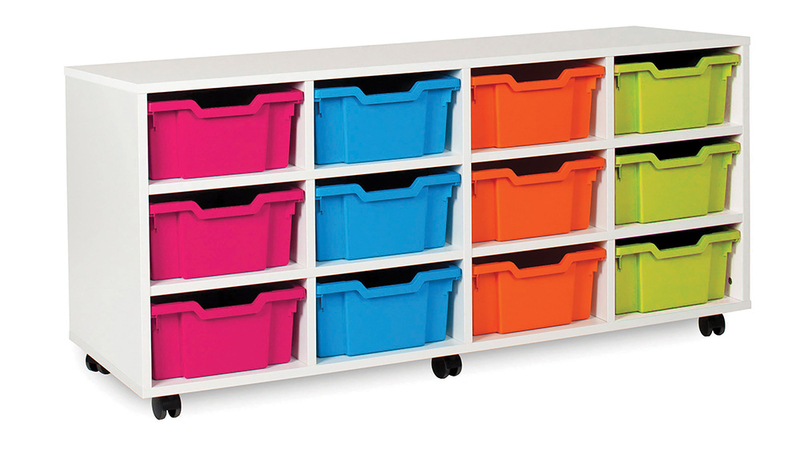 Designed for use within schools, pre-schools and nurseries for storing everyday classroom materials.